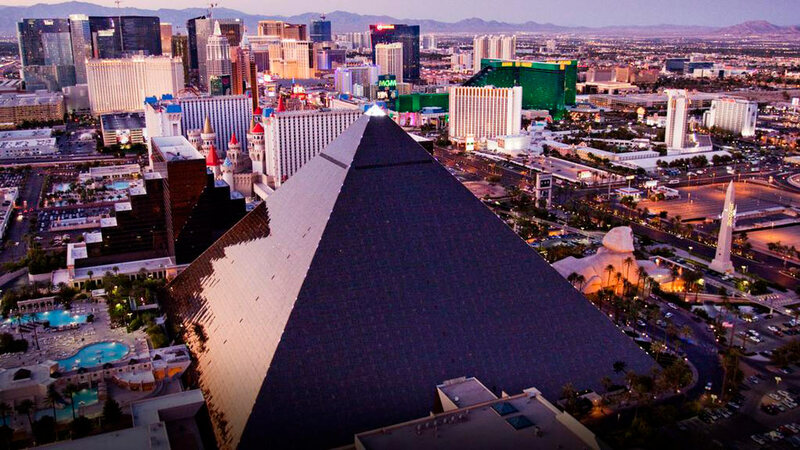 Towering 350 metres in the sky, Nevada’s very own touch of ancient Egypt, the Luxor Hotel and Casino promises the ultimate Las Vegas experience. Featuring luxury that's fit for a Pharaoh, a stay in this iconic hotel is sure to create life-long memories on a trip to the neon capital. Stylish bars, an eclectic mix of restaurants and a star-studded nightclub is just the start. Step into the heart of the pyramid for the bright lights of the casino, where you can play poker all night, or simply play it safe on the slots. If you need some time out, the spa offers a sanctuary of pampering to refresh and revitalise. Soothing Swedish massages and deep cleansing facials are amongst the many specialist treatments available. Evenings bring the start of an exciting live entertainment line-up at the hotel’s specially designed theatre. Choose from a menu of magic, comedy or the unique multi-sensory spectacle that is the Blue Man Group. If you can tear yourself away from the hotel, the famous Las Vegas strip is on your doorstep, with even more shows, casinos and wild nights out. Wherever you end up, follow the Luxor Sky Beam back to base. Shining high into the darkness, this Luxor night light can be seen up to 275 miles away! You might feel like you’re on the beach in the oasis that is the Luxor Hotel’s extensive swimming pool area. With attendants fetching your favourite drinks direct to your palm tree shaded sun lounger, it’s a desert paradise in the heat of the summer sun. The Luxor Hotel and Casino is located on the southern end of the Las Vegas Strip, directly connected with the Excalibur Hotel and Mandalay Bay. Head north along the strip to explore all this dazzling city has to offer. To walk the full length of the strip from the Luxor is approximately 2.5 miles. McCarran International Airport in Las Vegas is approximately 3 miles from the Luxor Hotel and Casino. Don’t forget to look out the window on the plane to spot this impressive pyramid as you fly in. For a truly royal experience, book a stay in this stunning luxury suite. Entertaining will be easy in the separate living and dining area, with an in-room dining service, fridge, gourmet coffee-maker and a bar. The impressive bathroom features a twin vanity space, separate shower and a bath. 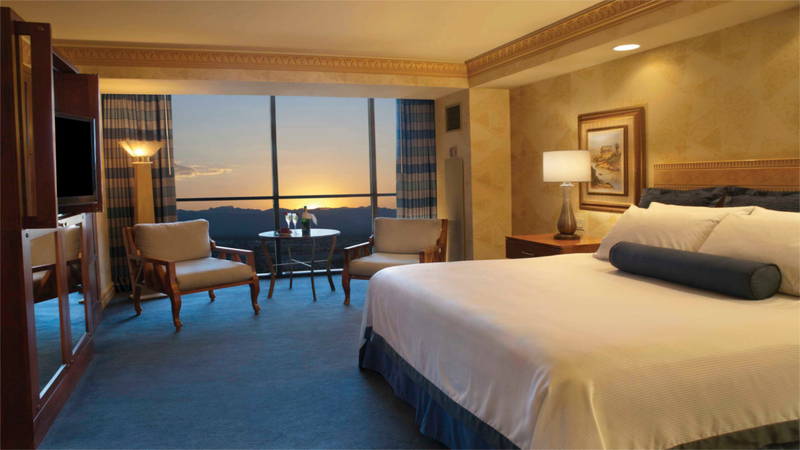 With exciting views across the area, these rooms offer a fabulously relaxing retreat for your visit to Sin City. Featuring either twin queen beds, or a comfortable double, there's also a spacious wardrobe and an en-suite bathroom. Feel like Egyptian Royalty with a stay in a Cleo Pyramid King Deluxe Room. These elegantly designed doubles include a king-size bed, large wardrobe and a modern bathroom. Situated high in the sky in this impressive pyramid, these deluxe rooms have a generous king-size bed for you to settle into during your stay. The slanted walls in these rooms, mean you’ll never forget you’re staying in a Pyramid! There’s twin queen beds, a work space, open-air closet and a contemporary bathroom. Featuring twin queen beds and an array of contemporary amenities, these rooms make a comfortable choice for your time living in Luxor-y! 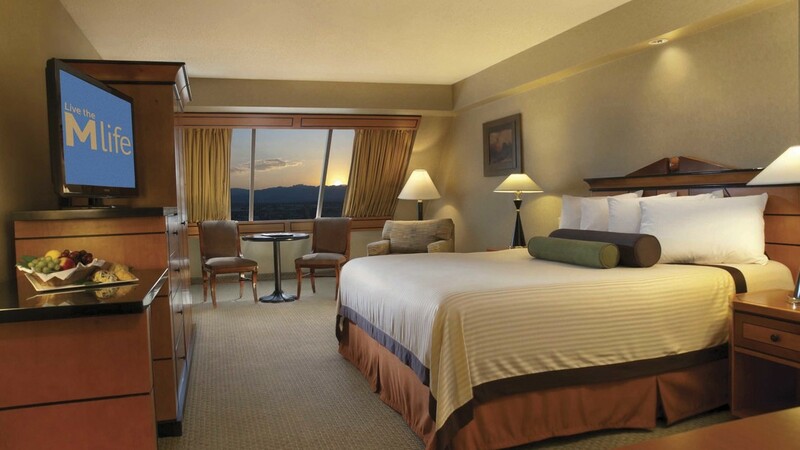 These spacious rooms boast a refreshing oversized shower, and make a fantastic base for your Vegas adventure. The best room type will be assigned on arrival, so your bed configuration could be twin beds or double depending on what’s available. Every room enjoys comfy furnishings to get a good rest. 11000 m2 casino with poker room, slot machines, table games and much more! Tuck into American classics and an extensive selection of beers at this popular chain from the East Coast. Expect a super trendy vibe, and delicious bar snacks for lunch dinner and late night dining. Feast on 8 ounces of top quality, mouth-watering meats in a variety of cuts at this stomach-satisfying steakhouse. The menu starts with a free-range New Zealand filet and goes all the way up to a 24-ounce food challenge Black Angus porterhouse. Fresh, healthy Asian gastronomy is on the menu at Rice and Company. Featuring contemporary Japanese and Chinese cuisines, you’re sure to find your favourites. With an eclectic mix of cuisines on the menu, the Pyramid Café is a great option for breakfast and lunch. Start the day with a hearty breakfast of continental favourites, or a waffle piled high with sweet and savoury toppings. Lunch brings a fantastic choice of sandwiches or burgers, and the café also offers a delivery service to your room if you don’t feel like getting up. Fill your plate with an irresistible variety of tempting treats from around the world. The Buffet at the Luxor Hotel is a laid-back affair, that boasts an enormous 30-foot long salad bar, pizza station, carvery and omelettes just to name a few of the dishes on offer. Be sure to save some space for the delightful dessert table! As the name suggests, a menu of Mexican favourites is on offer at Tacos and Tequila for lunch and dinner. There’s a tempting happy hour offer, that makes a fantastic start to your night. If you’re looking for a quick, fast food fix, head to the Luxor Food Court. Situated on the Mezzanine floor, there’s a wide variety of well known snacks and drinks on offer. Smoothies, milkshakes, crepes, waffles and a delicious menu of low-fat frozen yoghurts with tempting toppings make Blizz the place to go for dessert. Open 24 hours a day, the Backstage Deli is a New York themed café with an impressive list of sandwiches and specials to choose from.